“Ed Storti has been a Preferred Provider for Family Interventions for the Betty Ford Center since our opening in 1982. Ed is the consummate professional. I have personally observed his work since we became friends and colleagues over 37 years ago. The "Storti Model" of Intervention represents the highest standard for quality family services in the Industry. The centerpiece of Ed"s work is "motivational kindness". "Within three minutes after we started talking, dad was in tears, and so was everyone else. Within 10 minutes Ed had him admitting he was an alcoholic and within 45 he agreed to treatment." "Each patient arrives on our doorstep like a very carefully wrapped package, (All) we need to do is take the ribbon off and let the work begin." "(Mr. Storti is) the consummate professional who not only provides extraordinary pre-admission consultation but offers exceptional follow-up to both patients and family members." 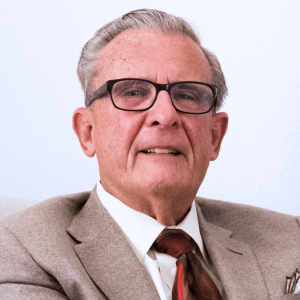 "As a grandparent of generations of Intervention Specialists, Ed Storti set a gold standard of integrity, safety and professionalism in Addiction Treatment. Revered by generations of families, colleagues and aspiring interventionists, Ed is a one-of-a-kind warrior with legions of people whom he has influenced, guided and taught. In that role as educator, he continues to challenge treatment centers and professionals in the field from medical doctors, nurses, dentists, addiction counselors and interventionists with his wisdom, clarity and kindness." "Ed Storti came to my house with several of my friends. They had approached me many times with their concern regarding my “problem.” I had lost any hope or desire to stop drinking. Their support along with Ed’s “magic” convinced me to go to treatment. That was 25 years ago. Thanks, Ed, you saved my life."